Transform your kitchen into an old world, European architectural masterpiece. With our expert French hand carving techniques, we are pleased to design and build spectacular kitchen hoods. 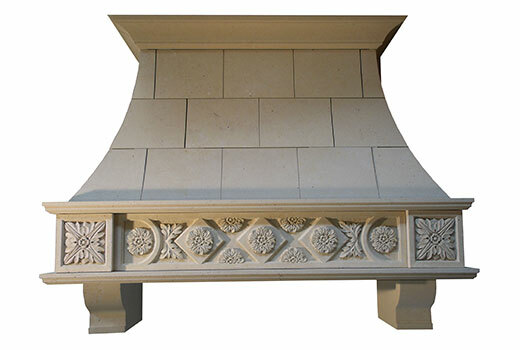 Whether you want a delicate and exquisite design, or a grand and magnificent design, we can hand carve a wide variety of limestone kitchen hoods and marble kitchen hoods to fit your personal preferences. 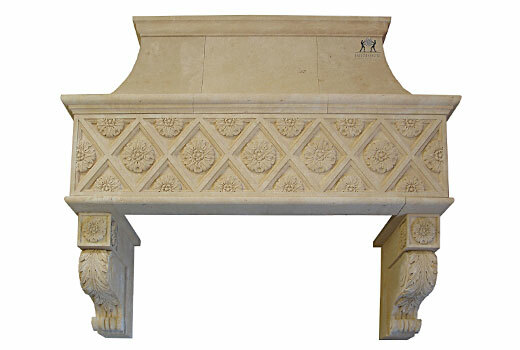 Learn more about the elegant design of our limestone kitchen hoods here. Discover the intricate beauty of our custom marble kitchen hoods today. Limestone and marble are two of the most durable, upscale and visually appealing natural stone materials. It’s well known that most of our time at home is spent in the kitchen. Whether you entertain friends and family, host holiday parties, cook daily meals for your family, and more, your kitchen’s atmosphere should evoke peaceful, happy, and comforting feelings. 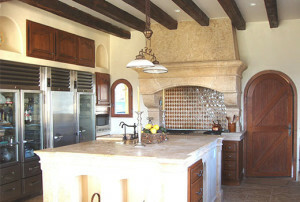 With beautiful interior design and features, such as a custom kitchen hood, you can create that environment you want. 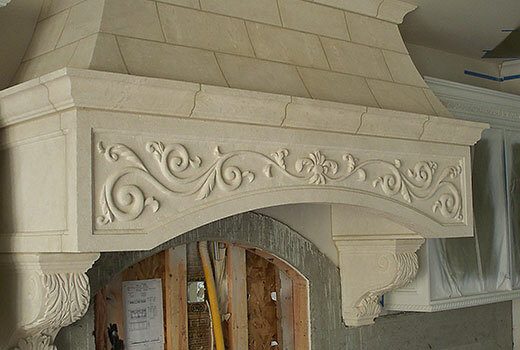 We are dedicated to crafting superior custom home features that you envision for your home. Our artisans are experienced and skilled in tradition French carving, as well as the latest stone cutting techniques, to craft the ultimate natural stone pieces for your home. Set your kitchen apart with a beautifully crafted and unique kitchen hood. Contact our experts today to get started on your dream home project.